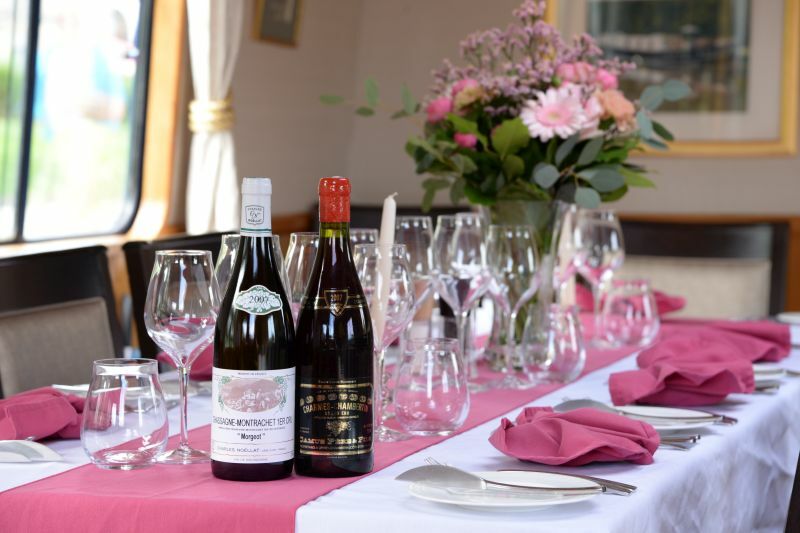 L’Art de Vivre is the oldest hotel barge in our fleet and was built in England during World War One as a supply vessel to the Allied troops battling in the Somme. 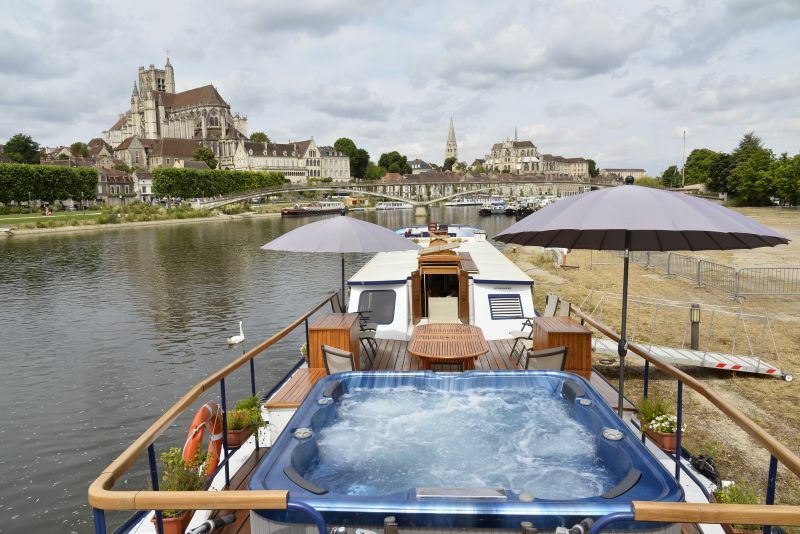 Today her life is a little less dramatic as she cruises one of France’s longest-established canals, the Canal du Nivernais. 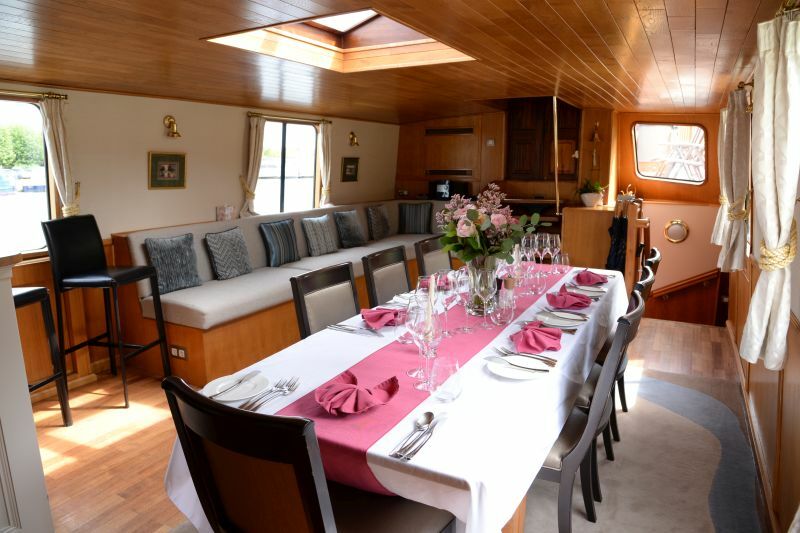 She is very much a traditional barge in style, with original wood and brass features that emphasise her heritage and create a warm and inviting interior atmosphere. The comfortable, compact cabins all have modern en suite facilities and the delightful saloon combines contemporary leather with more traditional furnishings. Outside, there is a sun deck to relax on with a glass of wine as you glide through the pretty Burgundy countryside and a spa pool to soak in. You can explore the ever-present towpath on foot or on one of the barge’s bicycles towpath, before rejoining the L’Art de Vivre at one of the locks up ahead.